The Horizon Women's Expedition Socks are calf-length, heavyweight walking socks ideal for cold, tough conditions. The PrimaLoft®/Merino Wool blended yarns mean that these socks are super soft, warm and comfortable. Merino Wool is a natural fibre which is highly insulating and incredibly soft, with wicking properties. 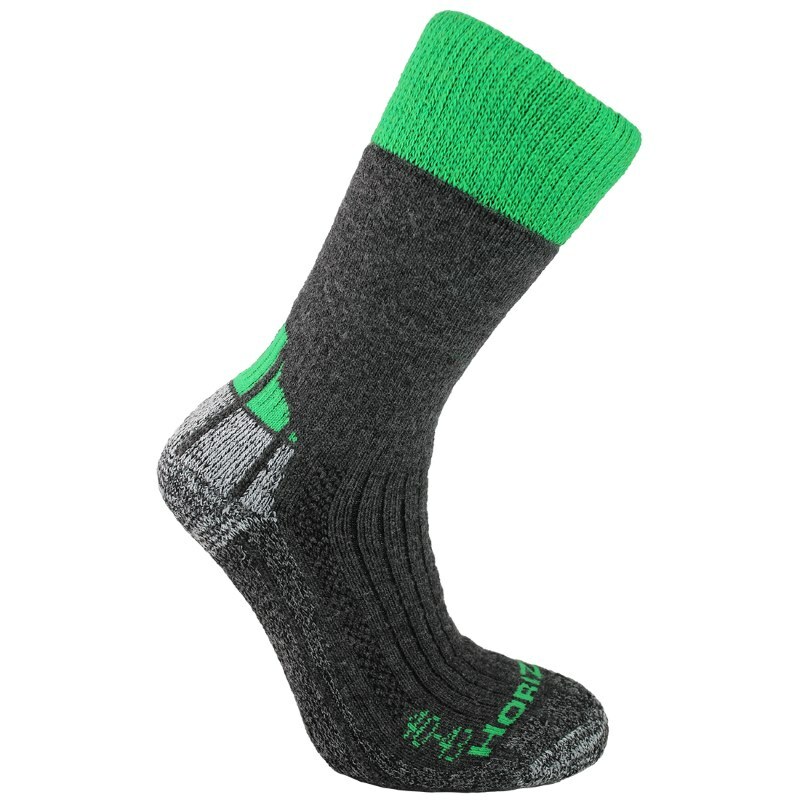 By adding PrimaLoft® to this yarn, Horizon have created socks that are fast-drying and durable. 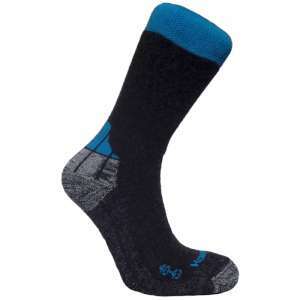 This innovative blend is the basis of the Expedition socks. The reinforced Cordura® heel and toe ensures exceptional comfort and durability. An Isofil® sole adds yet more comfort in this key area while wicking away excess moisture from hard working feet. The Expedition socks feature elasticated grip sections for a comfortable fit and ventilation channels for maximum breathability. To top it off, an in-turned welt gives a relaxed, comfortable fit for your next big adventure.